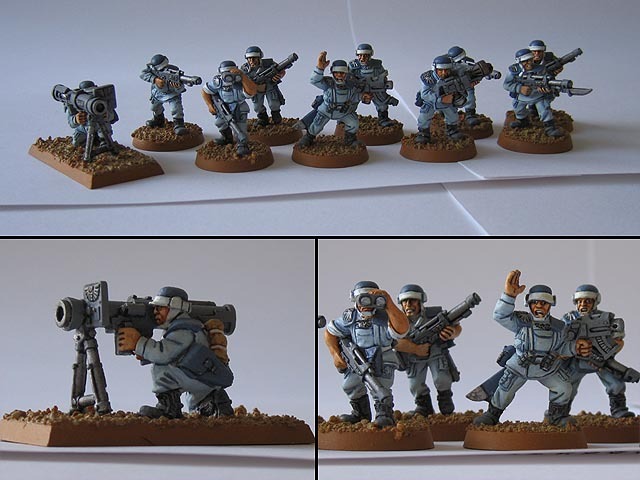 As I haven’t painted much lately, I thought I’d do a retro post about stuff I once painted. These are my old Imperial Guard for Warhammer 40K. I had a brief run-in with it in the mid 90s and picked it back up in the early 00s. Never amounted to much more than a massive pile of lead with which I never won any games and never had much fun. It all boiled down to commitment, or lack thereof. The whole unpainted lot... and yep, I mixed Mordians and Cadians about 50/50. It made sense at the time. I don't remember the reasoning behind it more than it's what I happened to have at hand and I liked both kinds of models equally well and couldn't decide. 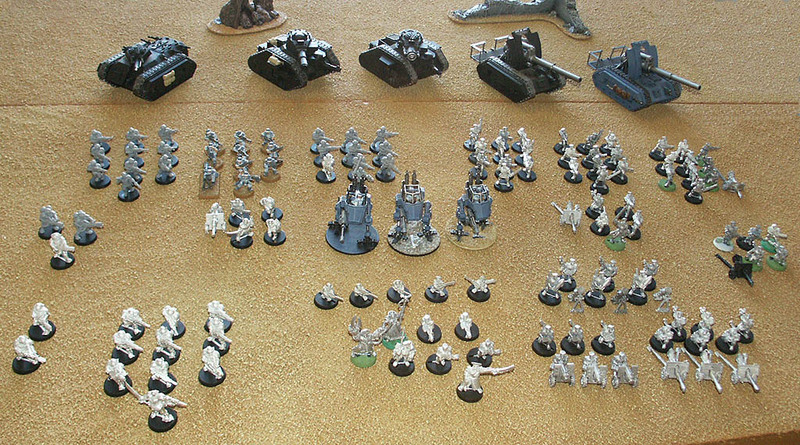 When playing 40K it’s rather important you know the base rules (a few 100 pages! ), your army codex (another 50 pages or so of exceptions and additions to ) and preferably your opponent’s army codex as well. Needless to say, you need to be rather exclusive with your gaming to play 40K in an open club with many different opponents. For what it is, there’s a ridiculous amount of rules (and rules lawyering). I never got into the actual game much and always felt it was a bit too clinical and void of flavour in spite of it’s massive amount of fluff and background stories. I flogged it all about 10 years ago. When migrating all my junk to a new computer recently, I stumbled across old photos I had forgotten I even had. 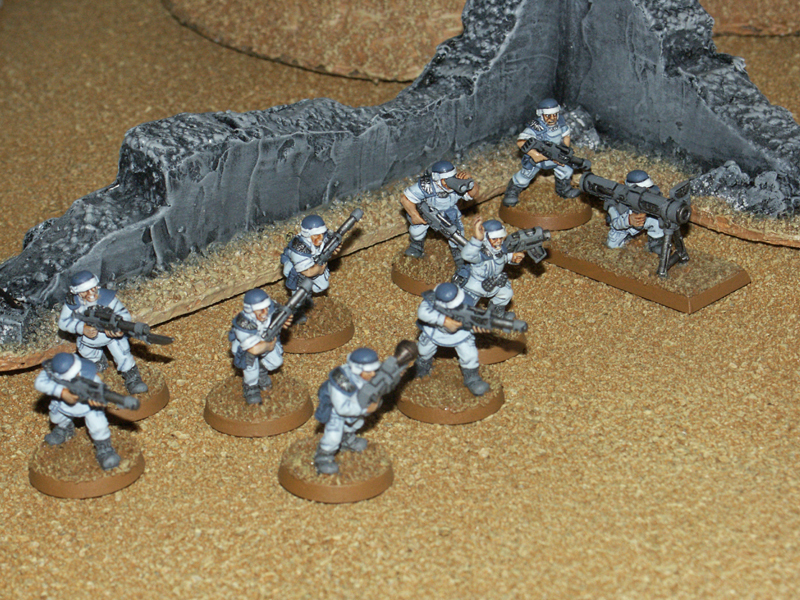 Among them were photos of my old Imperial Guard stuff. Unfortunately it’s not vintage Copplestone, but the classic 90s sculpts with some “newer” plastic Cadian mixed in. 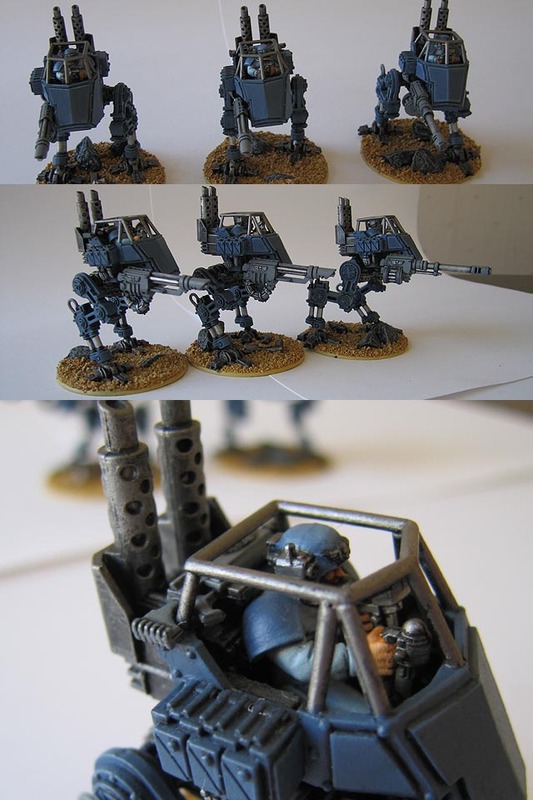 Here are a few close ups of what little I finished. A basilisk, finished and done. 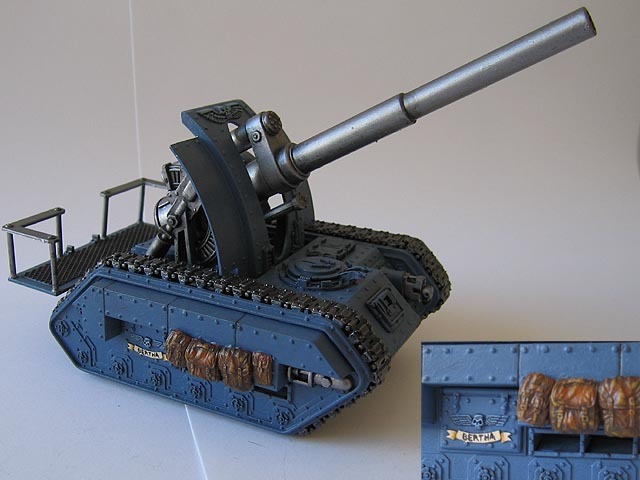 As is still the case, I didn’t care much for weathering. 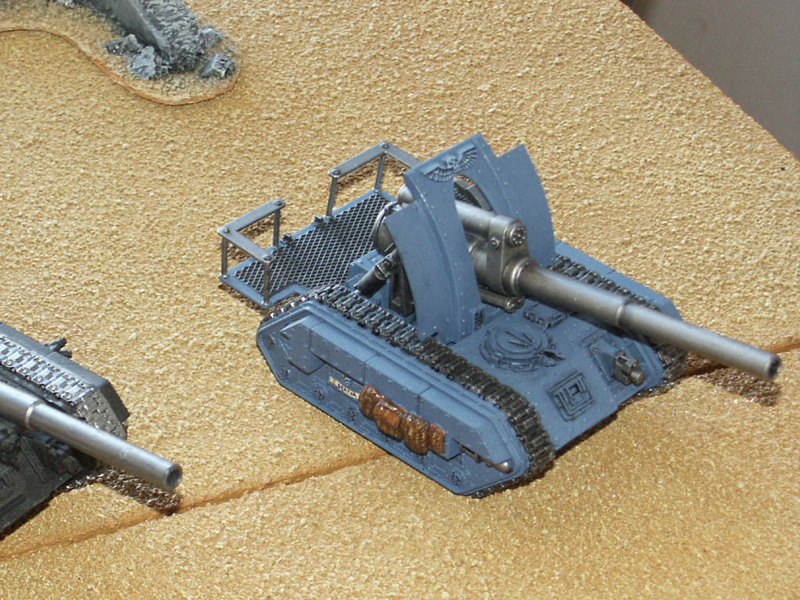 A later shot of the same Basilisk, from when I was selling it. 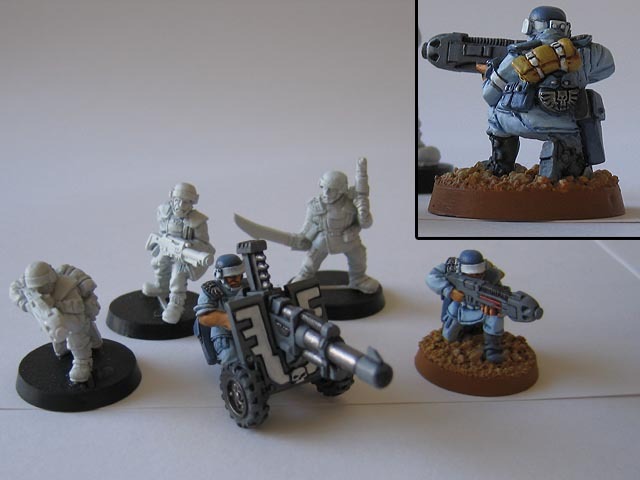 Three Cadian sentinels, based for my desert style board. Painted over a few years, finished in 2004 or so. 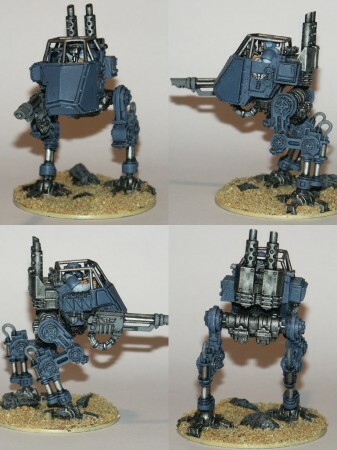 Some close ups of one of the Sentinels. 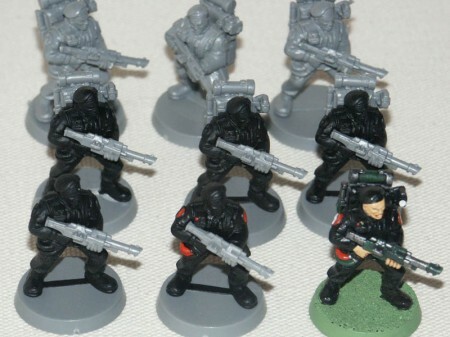 A squad of metal Cadians. This was the first thing I painted for the army... 2001 or 2002. 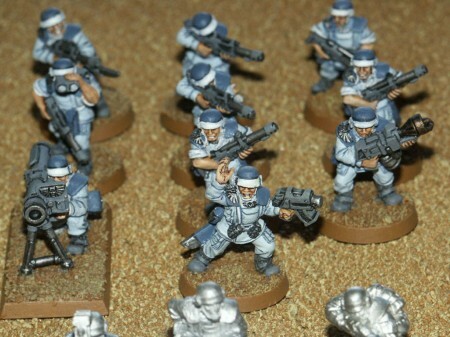 No wait, the storm trooper to the bottom right was actually the first model I painted for the army, in uhm... 1996 maybe? Super basic, no highlighting and no real shading either. Flat goblin green base. It makes me cringe a bit. 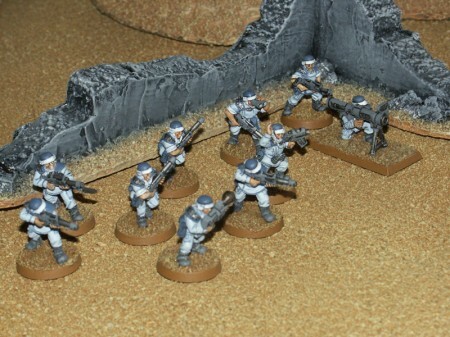 The Cadian squad in action. Closeups and such, for when I sold them off. I also did a command unit, but neve got around to photograph the fully finished unit. So that’s it for now. I hope you didn’t mind me veering off the beaten vintage fantasy track. I suspect at least one of my regular readers would prefer me posting nothing but scifi geekness, ain’t that right Sho3box?